Tired of Lightning cables that fall apart after a little bit of use? 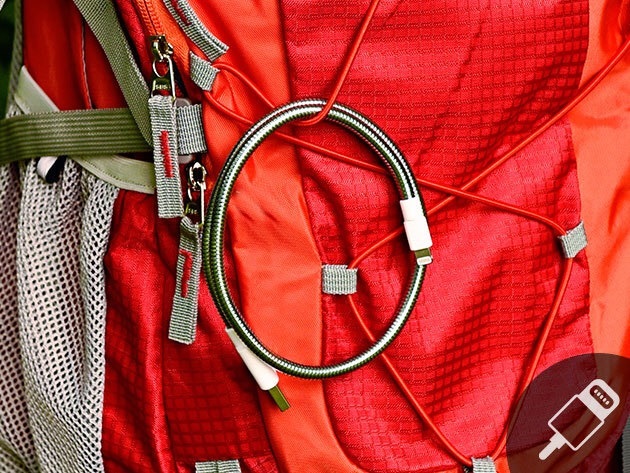 Fuse Chicken's amazing Titan Lightning Cable uses two layers of flexible high-strength steel in a Made-For-iPhone (MFi) certified Lightning cable that can stand up to years of abuse. The Apple World Today Deals Shop has the Titan Lightning Cable on sale for a limited time for just $22.49, a full 24% off of the suggested retail price. Loop to your keychain, belt loop, bag, etc. They won't be available at this price for long, so order your Titan Lightning Cable today! Today is also the last day to enter the Apple World Today / StackCommerce giveaway of an Apple 12-inch Retina Display MacBook worth $1,299. You can't win if you don't enter, so click here to make your entry before time runs out at 11:59 PM EDT tonight.